Welcome ​Our Free Resource Library! Want to improve from cancer without using toxic treatments? You're in the right place! As a benefit of being a subscriber, we grant you access to our free resource library. 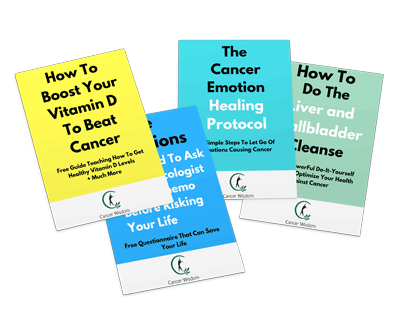 Download free resources like e-books, worksheets, checklists, video ​about cancer. We address different topics like nutrition, emotional healing, detox and other stuff.